Moscow Style Hostel is a new hostel, situated in the historical center of Moscow, at Tversaya St. it takes 4 minutes to get to the Kremlin from our hostel. 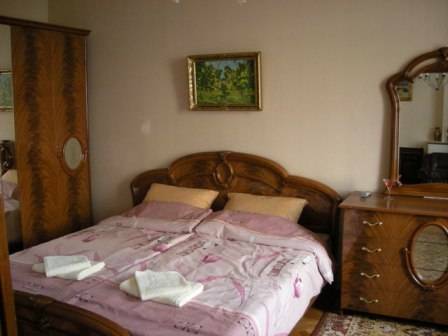 We would like to present to you brand-new Moscow Style Hostel. 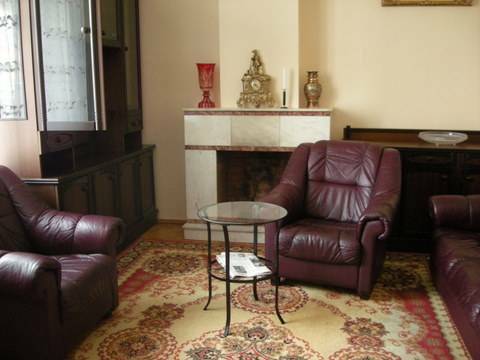 We are situated in the historical and central part of Moscow, just four minute walk from the Kremlin. Several night clubs, bars and sports bars (for football fans) are just two minutes of walk. Our helpful staff speaks fluent English and will be glad to help you with air and train tickets, visas support, taxi service and city tours. They will be glad to help you explore Moscow and provide you unlimited information on the most interesting and fascinating sights and Moscow and places to visit. Many big supermarkets are situated in this area. Our hostel has a fully equipped, modern self-catering kitchen, we also provide free tea and coffee during the day. Each of our guests gets a free bottle of beer if you stay with us for more than 3 nights. Rooms in our hostel are cleaned several times a day. We will do our best to make you like Moscow and for this trip to be unforgettable. 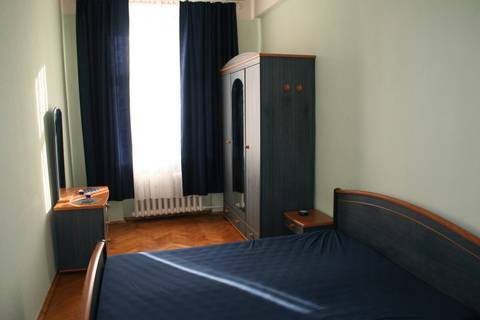 we are situated in the historical center of Moscow, just 4 minutes of walk from the Kremlin, Red Square and Lenin's Mausoleum, which are the main attractions of tourists. a great number of bars, night-clubs, restaurants and supermarkets are situated just next to our hostel. 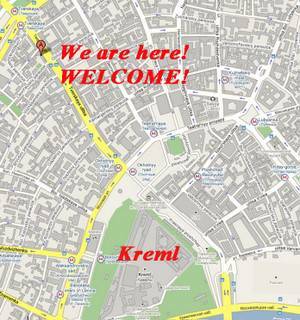 We are situated in the very centre of Moscow so it is really easy to find us. you take a bus that leads you to the nearest metro station which is on green metro line. then you take metro (green line) and take off at metro station Tverskaya (green line, no metro transfers). You walk out of metro and walk for 3 minutes along the main road which is Tverskaya St.
You get to Tverskaya St. 15, pass a big arch and here on the second floor our hostel is situated.